No really. Read no further. So Clara isn’t dead (yet) after all. Can we really be surprised? Personally, I can’t be disappointed either, that Moffat is true to form. There’s nothing better than Clara and Lady Me traveling the universe in their very own TARDIS. There’s nothing like the Doctor getting a taste of his own medicine. 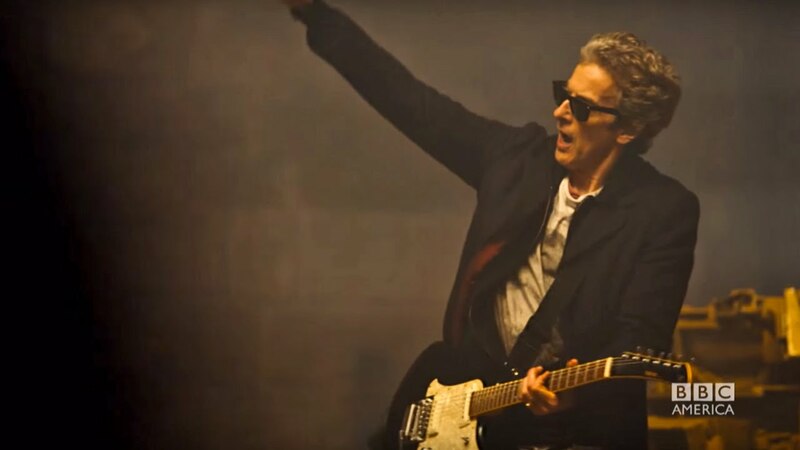 And there’s nothing in this world better than Peter Capaldi. This man broke my heart. I love how much history we get in this story. The half-mad young Doctor, the classic TARDIS, all the bits and bobs of Gallifrey, right down to the weaponized spoon. Moffat has never tied his loose ends up so beautifully; even when things didn’t quite make sense, I was far too engaged to care. Series 9 has been spectacular all the way, and this episode concludes it with perfection. Is it better than S1? The first season of New Who has always hands down been my favorite. It’s full of fun and great stories and there isn’t a turkey among them. Russell Davies’ goofy charm ran exactly to my taste. However, I do think the writing this season has gone to a new level. Moffat has been trying for years to reach this peak; after four seasons of false starts and flashes in the pan, it seems he’s finally made it. Check out 10 things you probably didn’t know about this week’s episode. This time I knew almost all of them. 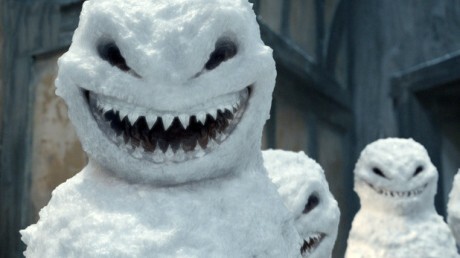 Now, onward to Christmas and the return of River Song! So much detail, so much love here. He knew her only briefly, but like the Doctor, she blazed into his life and left a mark that will never fade. More than that: she gave her life for his. Learning that he was never in danger, while her act sealed her fate, only compounds the irony and hollowness of her death. Rigsy will move on, but he will never, ever forget. The internet is a dangerous place. I’ve been spoiled for each of the last two episodes, in spite of careful avoidance of Tumblr and Twitter. An ordinary news page was the first culprit, and BBC America’s Facebook page the second. BBC America has done it before: they announced the anniversary special’s secret guest the day after the special aired, in spite of the time lag many of its own fans experience. You’d think they’d know better. This is the first episode in a long time that had me wondering whether it was too scary to finish. If I’d been on my own, I might have been tempted to wait at least for daylight. As it was, with my husband by my side, I was able to power through. I’m very glad I did. I really enjoy the experimental direction the show has taken this season. The series of two-parters; the documentary format of ‘Sleep No More;’ and now this: a single character in a single location, talking to the audience and the ghosts that inhabit his dreams. Capaldi is a master class, both as an actor and as the Doctor. I’ve heard him described as “definitive,” and I really can’t argue. I like Clara as a memory ghost. Of course the Doctor would continue to talk to her as if she were there. He’s known her a good chunk of his life, even if they did spend a lot of that time apart. Her voice in his mind is by now almost second nature. I’ve been getting tired of her, but she was well used in this episode. The ending on Gallifrey was spoiled on Facebook, but it wasn’t a surprise – we’d guessed the Time Lords were involved as soon as Lady Me referred to a mysterious “they,” and the Time Ring lookalike cemented them in our minds. The rotating gears and the Doctor’s repeated use of the word “confess” gave away the location miles in advance. The ending was a surprise, though it shouldn’t have been; he did say he would never, ever stop. I love when the show is smart, and clever, and buries relevant clues right where the audience can see. It feels like we’re adventuring WITH the Doctor, instead of being told the story later. The series finale promises resolution of the hybrid arc – weak, I suppose, but an improvement on the impossible girl. My husband points out that Lady Me – whose appearance is teased in the promo – is a warrior hybrid: part Viking and part Mire, thanks to the chip that provides her immortality. The prophecy – one who will break a world of hearts to heal its own – sounds very like her. The Doctor even says her name: “The hybrid is Me.” We’re almost certain he isn’t talking about himself. Of course Lady Me is a little bit obvious. Maybe we’ll be surprised after all. On the titles: The phrase “heaven sent” usually refers to a pleasant surprise, a timely intervention of fate, a gift from the gods. Nothing in the episode seems particularly fortuitous. “Hell bent” refers to an unstoppable determination. The Doctor is most certainly hell bent in this episode, sufficiently to repeat himself for millions of years in order to reach his goal. That’s practically the definition. 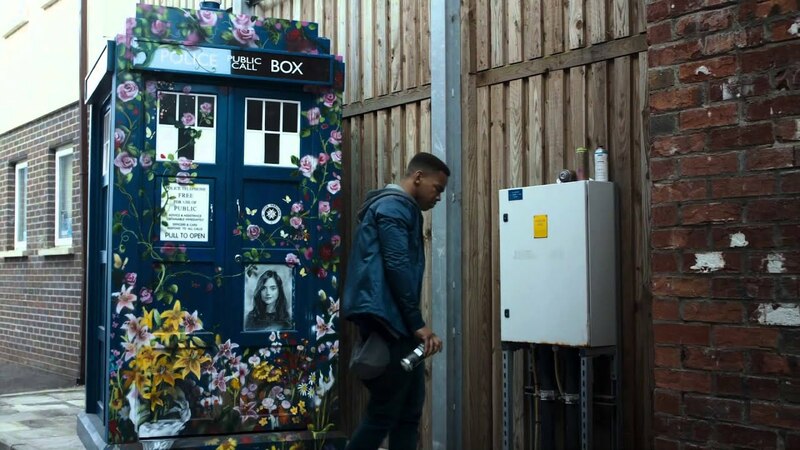 There have been a lot of Christian afterlife references from Moffat lately, counting last year’s Promised Land; I guess he can’t fully let go his obsession with the Doctor’s death. But this season he can do what he likes: with a result this good, I’m not going to complain. Possible minor spoilers for S9 below. Lady Me’s journey through immortality is fraught. Heartbreak, memory loss, rage and blame all hamper her adventure. Ashildr cared, and was broken by her caring, and goes too far in the other direction. We’ve gone with her there, and may yet see her again. But Sam? Sam is potentially immortal too, having received the same treatment. Maybe, as the Doctor said, its potency was lessened by time and circumstance – but he never believed it, and neither do I. Sam Swift wanders the world still. And his story? He is unlikely to follow Ashildr’s arc. Being older at the time of conversion, and having faced death already more than once, he has a greater appreciation for the gifts long life can offer. He’s also unburdened by caring, having likely experienced and given up on love long ago. He lives for himself; he lives in the moment. I doubt he’ll be cowed by an infinity of moments. To Sam, every one is fresh and new, and every one is to be cherished. Still, I hope we’ll see him again. I imagine Rufus Hound feels the same.